When your home or business experiences problems with water, the first step you should take is to call in local Flood Restoration Services operating out of Gainesville, Florida. Local companies are familiar with the area, enabling them to arrive quickly after receiving your call for help. While the most important task might seem to be getting the water out of your home, for water restoration experts, the first job is to figure out where the water is coming from and how it is getting into your building. Once that task is accomplished, they’ll complete a plan of action designed to get your house back to order quickly. One of the most important Flood Restoration Services is to conduct structural and content drying using an evaporation process tailored for the level of wetness involved. Here is a look at the four basic types of evaporation strategies. 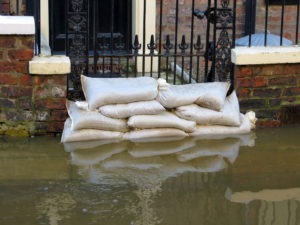 If your home or business has recently undergone flooding, the flood restoration company you choose will assess the damage in order to determine which type of evaporation rate is required. Typically, four options are used to assist in restoring your property to pre-flood condition. They include slow, fast, fastest, and specialized evaporation strategies. Slow Evaporation – A slow evaporation strategy is used when only a small portion of the area is affected and/or only a minimal amount of water is involved. Fast Evaporation – A fast evaporation strategy is utilized when water has gotten into the entire room, covering the whole floor and reaching up to the walls. Typically, this method can be used for whole-room flooding as long as the water doesn’t reach higher than two feet above the flooring. Fastest Evaporation Rate – The fastest evaporation strategy must be used if the water is falling from the ceiling into the area beneath it. Generally, all of the furnishings in the room, including the walls, ceiling, baseboards, carpeting, trim, furniture, and personal possessions, are heavily soaked. Specialized Evaporation – Certain types of materials experience outer wetness and do not become soaked. Drying them typically requires dry air accomplished through the use of specialized equipment commonly used during flood restoration services.